Just my $0.02. 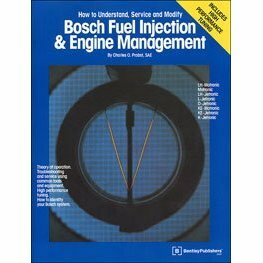 There is a LOT of speculation going on this thread and others regarding the functionality of Bosch K-Jetronic (CIS) Fuel Injection Systems. 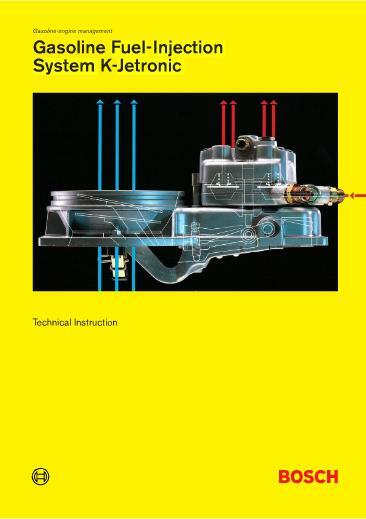 If I may a suggestion.....get the Bosch Fuel Injection and Engine Management Manual and the Bosch K-Jetronic Fuel Injection Manual. Read them cover-to-cover, skipping the motronic crap, and then re-start your conversations. Like the HealthCare Reform Bill, this thing needs to be scrapped and started again from scratch. Used to have the first may years ago but no longer. Is there anything about the injector being a limitation or opportunity in the there? Any help toward getting us back on track or to the truth would be very much appreciated. I have long resisted the injector as a restriction on our cars until it was reported that putting 3.6 injectors in a 3.3 was reported to go rich. It would seem that if we keep pumping more and more flow out of the head there may be a point where the injector orifice could become a restriction. However, it is my guess that the size of the FD's internal orifice is smaller than the injector's. To offset this it appears that the replacement injectors for a 3.6 might be the same as for the 3.0 & 3.3 Turbos. ???? So what dose the books say? Might test with half the injectors 3.3 and half 3.6 at the same time then poor the gross from each side into its own measuring beaker. Or what ever you think is best. Glad to let you know that I did this test . As beeing said, everything was the same during the test procedure....everything except the fact that the 3.3T injectors are new parts and 3.6T injectors are used. By this opportinity, I noticed that my fuel pressure was at 8.5 bar under cold condition. In both case, the fuel system pressure drop to nearly 7.2 bar while I actionned the metering arm in it maximal position. ( It makes a kind of Star Wars noise while the injectors deliver fuel ). Even with my upgraded 044 front fuel pump, the system pressure is dropping. So there is absolutely no doubt about the utilty to up grade the stock fuel pump !! in order to get more fuel with CIS !!! With new 3.3T injectors ( ref bosch 0437 502 017 ) I 've got an average of 245 ml/ min . The variation between each injectors flowed fuel volume was about 6-7%. . It seems these 6-7% are exactly what we get without accurate head adjusting . ( STU related very similar tolerance in his several experiences). With old 3.6T injectors ( ref bosch 0437 502 057 ), I've got an average of 265 ml/min. However I was incredibly impressed by the poor quality of the fuel pattern as well as the increased min/max volume tolerance. I 've got about 12% of difference between min and max . ( I have on injector which flowed about 275 ml /min) . I was scared to see this and to think that many engines are runing with such injectors variations !!! Lastly, after comparison, I 've made a fine tuning of the head in order to reduce the difference between each new 3.3T injectors flowed volume. It is not such easy task since we are talking about 5-10° of rotation on the head adjustment screws. However, after 4 tests, I succeed to reduce the tolerance at 2% only ! By the way, as I got already much enough fuel for my car setup I didn't try to increase the flowed volume by playing on the head. However, considering the fast action of the adjsutment screws, I do believe that I could have get about 260 ml /min ( using 3.3T injectors) if I put the head screws to near their maximum position. Thus it could have been nearly 280-290 ml/min with the 3.6T injectors. Seriously........good information! Makes you wonder how many engines were lost to imbalanced flow? Yes ....I am wondering how many engines has been ruined or early damaged due to the imbalanced flow... !!! When I did that on my 930 I used shorter fatter ribbed 12oz. water bottles that fit down lower alongside the upper valve covers alot better than that so I didn't have to bend the injector lines around so much to get them into the tops of the bottles. There's no power steering pump on a 930 so there's also more room along the passenger side valve cover than a 964 turbo. Next time I do it I'll try to find a 6 pack of smaller ribbed plastic water bottles like 8oz. or something so you don't have to lift the injector lines up much at all to stick the injectors in the bottles. ..and fwiw, the ribs on some plastic water bottles can be used kind of like the lines on a graduated cylinder for comparing gasoline levels after the test. Interesting that you were able to fine tune the outputs. Where is that adjustment, under the banjo bolt for each line? I have the Probst book and it really is excellent, but I don't recall coming across a reference to adjusting each line. There's a 4mm allen wrench size button head screw next to each banjo bolt/injector line. Under that there is a 3mm allen head adjustment screw. Turn it clockwise a little at a time to get more fuel to flow to the injector. I wouldn't go adjusting them unless you've had your injectors flow tested and you know they all flow equal and spray good. Good work and great info. So what do you think? Are larger injectors a valid path for us to more fuel? Seems the replacement injectors for the 3.3 and 3.6 are the same part number now. Maybe when the alternator is running the fuel pumps might increase pressure and the spray pattern might be better. I am wondering how important the spray pattern is. CIS sprays for 720 deg of crank rotation to about 220 deg of the intake valve being open. I suspect the fuel coats the intake runner and might even pool in wait anyway. Who knows. If this is the case it might help explain why our intake ports are smaller than a CIS 2.7s. I have long suspected that a lot of what others have believed is poor air flow per cylinder is not the prim issue with burning a cylinder. That unequal fuel per cylindermight be the reason. For example, if someone had one cylinder running at 15/1 and 5 at 11/1 AFR the O2 would read 11.7/1 AFR. Could be a combination of unequal air flow and fuel flow. We can not run EFI air fuel ratios with the in accuracy of the CIS system. This is why we need to run a little fat. Again, fun stuff and great work. Last edited by 911st; 02-06-2010 at 04:09 PM..
Keith, you can tell very quickly when the cylinders do not have a balanced AFR as the lean ones run hot. I use a pyrometer aimed at the base of each primary about 2" from the head to measure this. It does not take much of a lean condition to make a thin wall header glow red. This is also one reason I chose equal length primaries for my header system; it is more accurate to tune when each runner is the same volume. As you know Jon, a high power 930 engine should not run at full boost for long periods with AFR's in the 12's. Above 170mph means you had the hammer down for a significant time. The modded fuel heads that iA sold were not tuned for the specific engines they went on which can cause a host of problems, imbalance being one of them. Any Fuel heads and WUR's that go out of my shop are base tuned for the engine fitted with instructions to fine tune and verify AFR's. Thierry's picture reminds me of what I just went through with the injectors on my car. If you bend those lines they will not go back to the correct orientation which will interfere with properly seating the male end. I am sure this is why I had 3 leaking injector lines when I put it all back together. As you all know it is very hard to see that junction when the engine is all back together and you can have a leaker and never know it. Potentially dangerous situation. I have 2 CIS setups in my shop right now that have been through an engine fire. Brian, i wasn't blaming the IA fuel head, i was blaming myself for not checking flow to each injector. Among other stuff like making sure system pressure was at or above 100psi, also for still having the stock (but rebuilt) WUR on there whilst having an Adjustable WUR in my possession at the time! The engine blowing up was indeed my own fault, i should have taken the time to have it set up properly! Although to be fair the shop i had been using should have had my car spot on from the first day! I would think if you have checked and balanced flow to each injector in the way shown above, (basically the way StuP did it in the first place). And you had enough adjustment to get 12.5 afr right up at the red line you'd be ok. The only reason we set up CIS in the high 11's is because we can't guarantee even fuel to each cylinder. But if you can, then everything is fine, right? If your fueling is perfect, mid to high 11's through peak torque, and lowish to mid 12's at the red line is good isn't it? An O2 is nice but an EGT gives one an idea of what everything is doing together. for example of if the intercooler is heat soaked or timing to advanced. These do not show up as warnings per say on an O2. Of course a single cylinder lean spot or detonation is probably not going to show. Not sure how sensitive a motor at idle is the variations in heat due to a lean condition at idle. There is heat sensitive paint that racers use on brakes and headers to determine how hot they get. Each color at a given temp changes if a threshold it achieved. This could be something worth using. Someone here used sensors that went under each spark plugs to watch cylinder temps. This is not as good as EGT but good for imbalance. Sorry to hear about your failure. Any chance a ring was broken before the failure? How much HP were you making? Did you run safely for a long time with the 7th injector? Was there a leak down or compression test any time before the failure? Jon, yes in theory a well tuned fuel system would be OK in the mid 12's. Trouble is air cooled engines do not control engine temps well enough when it comes to changes in environment. On a very hot humid day you will need that insurance of high 11's AFR. Keith, headers can glow red at idle if there is a significant balance problem. Brian, i know what you mean, CIS has no way of changing fueling dependent on air density, 1.0 bar on a hot day with a particular set up may be fine, the same set up on a cold day and you will likely be running lean! That's why i guess ALL modded CIS turbos should have either a LM1 or Zeitronics AFR gauge permanently set up in the car so it can be monitored. And 'absolutely' should have an adjustable WUR so that adjustments can be made to suit. Keith, the engine was fresh, new rings, rebuilt and ported heads, 964 cams, 1.0bar spring which netted a little over 0.9 (so mild boost), B&B style headers, fabspeed muffler, IA air box, IA fuel head which was done in exchange, i sent my euro black cast iron one over and got a silver US ally one back!? K27HFS just installed.... Not sure on the power, it was around 415bhp (flywheel) with the garrett on there earlier with the same boost. The car ran like crap with the 7th injector, fueling was all over the place, car bogged down with so much fuel. It ran great with the HFS and ditching the fueler! My logic was that i had the car dyno'd before the 7th injector was fitted and with the garrett turbo installed, it was showing it going a 'tad' lean right up at the top end. So the 7th injector was fitted to solve the issue. I didn't know then what i know now! My mechanic was only too aware of the WUR mod, but convinced me this 7th injector was the way forward. CLOWN! Anyway, i had a friend bringing an adjustable WUR to the airfield, i thought i would do a run with the stock WUR first and keep an eye on the fuel with the LM1. The mate i had in the passenger seat was reading my figures and i told him "if you see it go above 12.2 tell me to back off"! As we went away he was saying "11.1.......11.2.........11.5...........11.8....... .........12............12.something..............B ANG! Awww, man. Your story just gets worse every time I hear more details! I am still learning but my first guess would be glowing headers at idle might be more of a timing issue with a bunch of retard. That if it was that lean on a cylinder or two it would miss fire. If not at idle it would balk pretty good with any application of throttle when CIS goes more lean for a bit. My guess is a low compression motor could run as much as 15 deg's advance at idle to achieve peak pressure at 14 ATDC and run a cool exhaust temp. I think Porsche uses vac retard at idle on most the 930's so they run at almost right at TDC. This was done on purpose to heat up the exhaust for emissions. With this, the air fuel mix might still even be burning when the exhaust valve is opening. ...Anyway, i had a friend bringing an adjustable WUR to the airfield, i thought i would do a run with the stock WUR first and keep an eye on the fuel with the LM1. We know CIS no mater how hard we try is not going to offer very well balanced AFR's. One of the best EFI Turbo tuners here quoted he would not run any thing leaner than 11.7/1 on an EFI car using street fuel. It may not be but if the new turbo had a more restrictive hot side, that could have added more heat to the exhaust valves, head, and pistons. Not saying it was the cause but there may not have been only one factor. No one seems to measure there exhaust pressure. When it gets near two times boost pressure I understand it is to much and it makes for a lot of heat. Add to that B&B has such a lousy wast gate connection that dose not work well with small turbine/big compressor turbos. On my car with with an early HF turbo that had a larger 7006 hot side I had an over boost issue. It took a .7 bar Tial & a EBC to keep boost at 1 bar. Again, could have been several things adding up to one big bang.